THE MISSION is excited to announce Forms of Incoherence, a solo exhibition of paintings by Peruvian artist Michelle Magot. An opening reception will be held on Friday, March 10 from 6:00 to 8:00pm and the exhibition will be on view through Saturday, April 22, 2017. This exhibition continues the gallery’s mission to introduce artists living and working in Latin America to a Chicago audience. 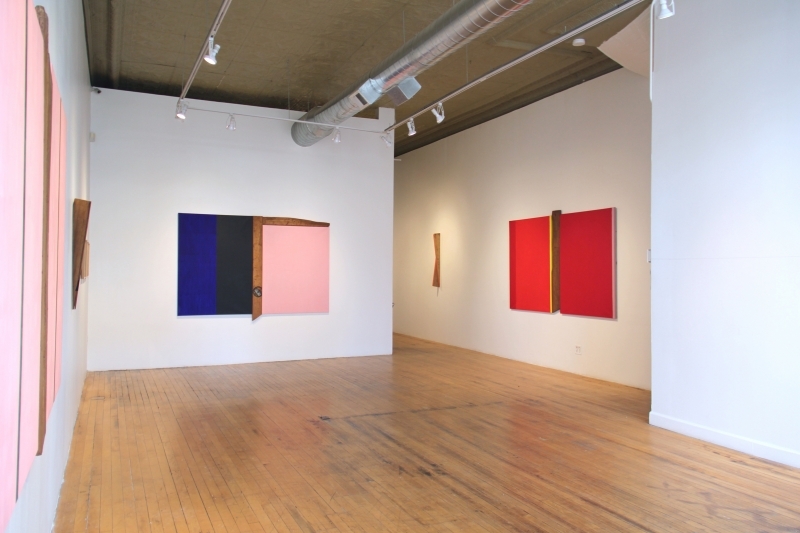 In her first exhibition at THE MISSION, Magot features three series of paintings – Ensamblajes, Intervenciones, and Irregulares – that confront our visual perceptions and guide us toward a new way of seeing. 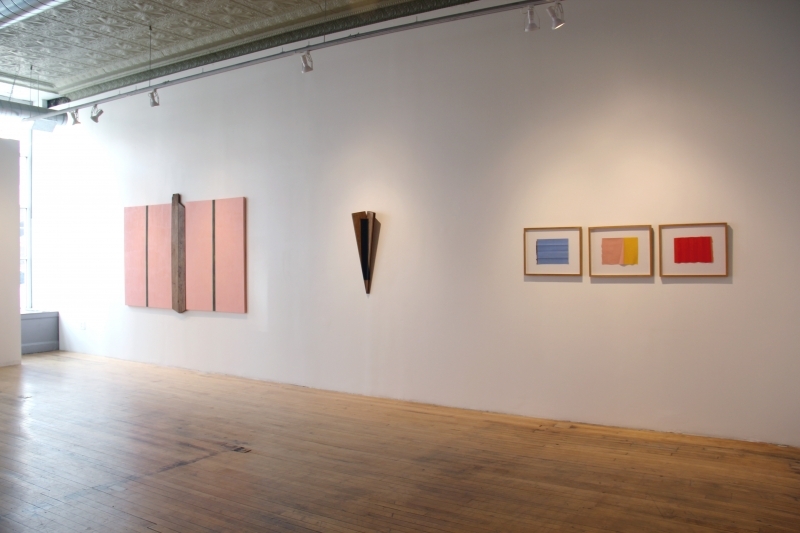 She pairs disparate materials like found wood with stretched canvas, and oil with found marble or folded paper, to construct seemingly illogical compositions that challenge our ability to discern form and material. 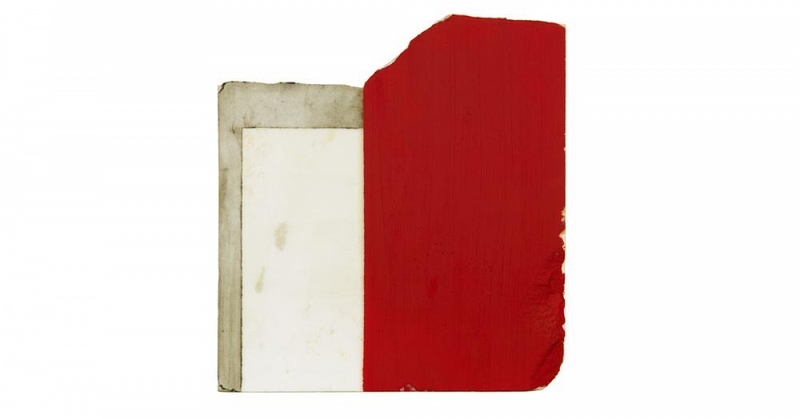 In the Ensamblajes series, stretched color block canvases are attached to wood scraps the artist finds on the street. 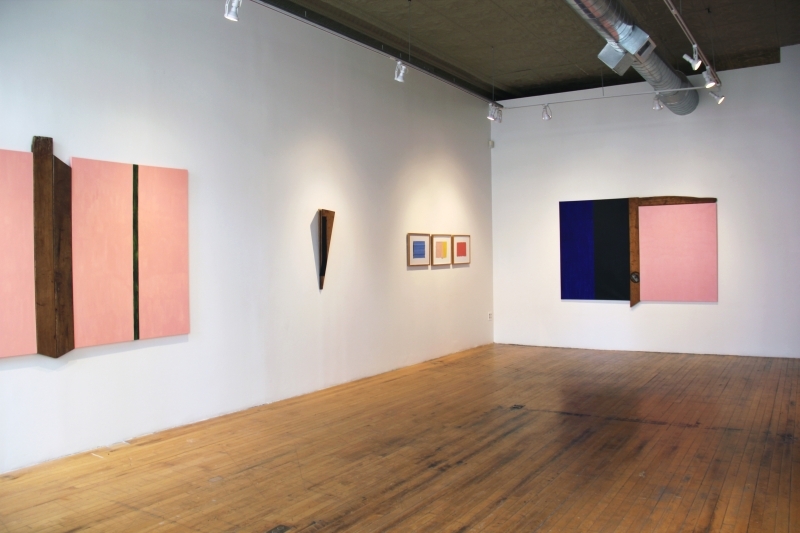 Her color fields are not stagnant but rather reveal the irregularity and imperfection of the artist’s hand. Magot’s gestural strokes reveal inconsistencies, but also imply an ephemeral, visceral nature that is paramount to her visual rhetoric. In an attempt to reveal space and time through gesture, Magot uses non-Euclidean geometry as a tool to guide her investigations in form. The works in Forms of Incoherence use this variable, elliptical geometry to confront our recognition and to suggest the continuity of shapes onto different surfaces and densities. Magot applies oil in varying hue and opacity over fragments of Carrara marble in her Intervenciones series. Geometric layers of color wrap around the marble’s irregularly formed edges and bisect the smooth surface into, perceivably, multiple components. By diluting our coherence and encouraging us to consciously decipher form and material, Magot challenges our perception. MICHELLE MAGOT (b. 1978) studied at Escuela de arte Corriente Alterna (Lima, Peru). She received a Bachelor of Fine Arts at Lorenzo D’Medici (Florence, Italy) in 2001 and a Master of Fine Arts at Byam Shaw School of Art at Central Saint Martins College of Art (London, England) in 2004. She has completed residencies in Florence under the direction of artists Rose Shakinovsky and Claire Gavronsky. Magot lived and worked in Paris and Lucerne, Switzerland until 2007 when she returned to Lima. Magot has exhibited solo exhibitions at Galeria Forum, Artco Galeria, Minimum Space, Galeria Bohemia El Polo and Galeria Cecilia Gonzalez in Lima. Her work has been included in group exhibitions at UCONN (Stamford, CA), The Arts Gallery (London, England), The Empire Gallery (London, Gallery), Berliner Kunstproject (Berlin, Germany), among others. She is represented by Galeria Forum (Lima, Peru).